Are you ready to dive into your pure potential, discover where your DNA lies dormant, and live your passion and purpose? Work privately with Alaya DeNoyelles. AcuPresence is an invitation to awaken and align with your divine blueprint. Alaya blends the magic of AcuPresence, Five Element acupuncture,a nd the genetic map of your DNA to facilitate your healing session. 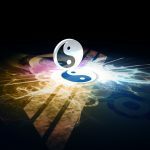 What is I Ching AcuPresence? It is a new contemplative healing practice that serves as a doorway to transforming your DNA and supporting your path of awakening. It works in conjunction with the I Ching, the Gene Keys and Human Design. 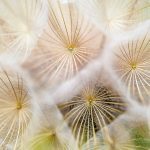 AcuPresence® is a transformative healing art based on the tradition of Classical Acupuncture and the universal principle that everything is vibration. In a fresh and simple way, AcuPresence® presents to humanity the heart of acupuncture. It is new in its expression and ancient in its truth. 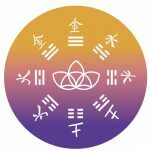 I Ching AcuPresence is a new contemplative healing practice that serves as a doorway to transforming your DNA and supporting your path of awakening. It works in conjunction with the I Ching, the Gene Keys and Human Design. In order to attune with an acupoint, you need to know where it is located, what its unique frequency is, and the essence of what its medicinal virtues are. This information is found on the Acupoint Synopsis Page.